Welcome to the DESERT STITCHIN web site. I am excited to bring you some unique and one of a kind items you won't find anywhere else. Desert Delights are my specialty. They are 2 1/2" strip sets I select, cut and package myself, which is how I know the quality and size of each strip is accurate. Each Desert Delight contains 40 strips, and can be used in any pattern. When you select a Desert Delight in the Online Store, you will see the quilt sample I made to go with it. In addition to Desert Delights, we have a selection of quilt patterns, southwest patterns and notions/tools. Just touch the "Online Store" button to your left to start your shopping experience. I have recently added a "Quilts For Sale" Department. You can browse through the quilts, when you find the one you want, just add it to your shopping cart. I am, also, offering Long Arm Quilting Services. I would be honored to have the opportunity to quilt your quilt. I have the ability to quilt a quilt up to 108" wide. I have a unique collection of quilting designs all designed to enhance your quilt by giving it another texture. Prices start at 2 cents per square inch for basic all over edge to edge designs. More elaborate designs will be 3 cents per square inch. What's included is top quality cotton thread either solid or in variegated colors. What is extra is batting and/or backing. I do have those available to purchase if not provided. You can mail me your quilt top and I will mail your finished quilt back to you at no charge. Please contact me by e-mail at info@desertstitchin.com. Desert Stitchin is an On-Line Store only. You can also find us at many Quilt Shows throughout the year. We have listed those quilt shows in our Quilt Show Schedule. 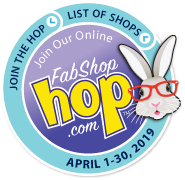 To find the bunny....hop to "Online Store", then hop to "Pattern/Books", then hop to "Breezy Weave Bags Pattern". You will see the bunny waiting for you! You will also see a fun Spring Bag which is easy to make. 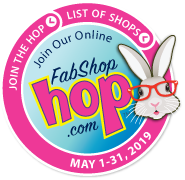 To find the bunny hop on over to the "Online Store", then hop to "Patterns/Books", then hop to "Stacked Quilt Pattern". You will see the May Bunny waiting for you there. You will also see a fun quilt pattern made with fat quarters. Easy!! Copyright © 2015 Desert Stitchin. All Rights Reserved. Website hosted by Quiltropolis.